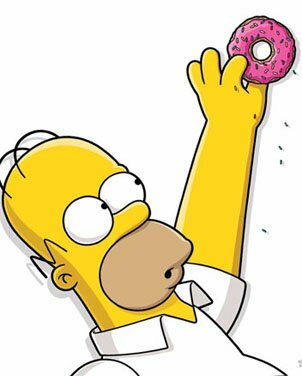 Oh and when you finish the Act 3 questline you’ll once again have a chance to earn bonuts. For every 6,000 you collect you’ll have a chance for 1, 2 or 3 donuts. What are your thoughts on Act 3 of Bart Royale? Thoughts on the dialogue so far? Prizes? Any items you’ve purchased? Sound off in the comments below, you know we love hearing from you! 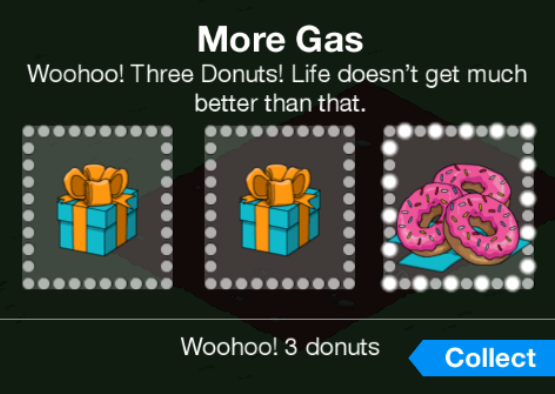 This entry was posted in Tapped Out, Tips and Tricks, Updates and tagged bart royale act 3 questline, Bart Royale Walkthrough, how do i earn more gas cans, Tapped Out Homergeddon, Tapped Out Kids vs Adults, Tapped Out Tips and Tricks, The Simpsons Tapped Out, TSTO Addicts, TSTO Bart Royale Event, TSTO Battle Royale, TSTO Tips and Tricks. Bookmark the permalink.
? was there time added to the original anticipated end date. i am seeing the timer as still having 1 day and 7 hours when it should only read 7 hours? …….. anyone else seeing this. i thought the end was going to be Tues morning and not Weds morning. I’ve been sending all eligible characters to “Assault Ruffian Fort” for several days now, but none of their assaults count toward the “Defenses Destroyed” counter. Any ideas on how to solve this? Act 3 of Bart Royale ….. yes it feels like a “rinse and repeat” because the 3rd Act Prizes are lackluster (Character / Building Skins); but I do appreciate what Freemiums were Earned / Crafted (with regards to Characters / Buildings). Spending sprinkles to get the Character Wendell is my highlight, but I will agree these Events with “lame Prizes doing boring Tasks” need to stop! that kept happening to me as well. when i checked my last “assault”; i noticed that some of my people had the exact same countdown timer. which was fine until it came down to secs, some were literally the same. >>>>ie: 30m15s; 30m15s; 30m14s; 30m14s; 30m13s, etc. so the next time i sent them, i figured i would slow down on sending them to assault. i spaced them apart by a few seconds. so they ended up looking like this. >>>>ie: 1m15s; 1m12s; 1m9s; 1m6s, etc. by slowing down and spacing them a few secs (2~3) apart it’s been counting them correctly as they finish up. <<<< weird huh? i'm not sure if this was the problem, but i haven't had an issue with it so far. Might work, but it is still stupid. The firet time i send 12 characters, it always adds up to 12 when finished. The second time i send them, i send them exactly the same way, but i might get 9 when it’s finished, or 11! Whatever they decide. It seems as random as it gets. Me too! I have 14 I can send, so I should be done in 2 assaults with some extra gravy. Nope. I will now space them out after reading this. Personally I like the skins. I also like using the tank as a teleporter in friends towns! So is there any point to destroying the Ruffian defenses after the first round of it? I destroyed them all yesterday and have advanced through part 3 of the questline, but when I got up this morning, it told me to destroy the Ruffian defenses again. I’ve been wondering that myself. In fact I skipped it earlier and just sent everyone to fortify their respective bases so I could continue them repairing the damage the ruffians caused. I just don’t know if this is gonna bite me later. There’s no special prize after doing it a billion times like with Halloween, is there? When you open your inventory, there is an button/icon with a purple gift box with question marks on it in the upper left corner. It has all your “consumables” listed inside (ice tiles, boardwalk tiles etc.). If you have any available land tiles, they will show up in there😁. Checked it out but for some reason they’re not there, although I did realize when you buy land there is an icon that shows how many you have. Thanks! Stupid question maybe, but I am currently at part 3, and this morning I got a pop up telling me to defeat the Ruffian Fort again. It shows again the 0/25 times finished, like for part 1. Is there any advantage to sending characters to the Ruffian Fort instead of the other two bases? At first glance, they earn the same; but maybe there is a bonus for completing 25 tasks at the Fort? Just tried that, and it plays the cut scenes again, the Fort goes into cool down for four hours, and the cycle starts over. No reward in form of event currency, though. Well I’m glad to see that I’m not the only one wondering wth is going on concerning the attack,cooldown,repeat. I don’t see any benefit whatsoever. Thought maybe there as going to be like a “boss battle” type of thing,,,,but no. Bottom line… just send your peeps to any open fort/play ground you want. They all pretty much count the same. So I’m not doing any unknown harm by sending my townsfolk to fortify the previously pristine bases the ruffians smashed in retaliation? Because I was actually really worried this was another THOH thing and it was going to cost me in the end. Thanks, Patric. I really love the game. Been playing for 3+ years. But to be honest, lame prizes(lots of skins) and lame questline, just to push another generic event through. For a past year or more we are just doing same thing with a different loading screen. I would love something fresh. 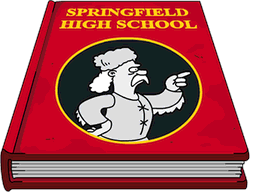 Even springfield heights or Krustyland update would be something wow to me now:)) That’s how boring it become. I already got the Damages Springfield statue but it just told me that I unlocked it and haven’t seen hide nor hair of it in my inventory. Help? Wow not the best in game movie/cut scene.. of Ruffians breaking defenses. However wasn’t expecting it, so nice touch I guess. What was the last in game movie related to an event? Been a while I think. I think it involved Maggie, if I remember correctly. Over the whole event it really makes very little difference if you have the defences at 20 % or not. I finished last 2 acts with 4 to 5 days spare & did not always run with the maximum. When you get to pt.2 make sure both locations are maxed out bonus-wise. And yes, I had the same glitch. Anyone having a glitch with the send 25 task? On both my games I sent 13 characters twice on their 4 hr tasks for a total of 26 actions completed. On my A game it registered & advanced to next task set; On my B game I was only credited for 23 finishers; so had to send again rather than advance to the next part. It should have been 26 on both my games! (Therefore completing the 1st questline task on both games) I can’t fathom why this glitch occurred; As each game has the same characters to send to the Ruffian Fort. Got the same problem on part 1 of questions. Should have had enough with 2 cycles. Has anyone had it advance after third cycle? Same here. Sent all available, which should be 12. Got 12 first round, sped up one, so 13, ran a round of 12 again, should’ve had 25. It stopped me at 19. Ran all 12 AGAIN, it just stopped me at 23! I’ve sent characters on the 4 hour task 37 times, and it’s only counting 23 of them. So frustrating. At least I’m still getting the gas and cinder block payout accurately. Thanks for the information. Hopefully ea fixes the glitch soon. I sent 14 and got credit for 14. Then I sent 11 and got credit for 9, putting me at 23. The next round I sent 14 again and got the last 2 and advanced. Like others have said, the gas can and scraps payouts were accurate. Still, it was definitely annoying. I thought I was the only one! Got 12 the first round, 9 on the second. Same here – sent 14 characters twice – only 23 actions credited. Also, during all three acts, when I visit neighbors, it says 30 actions will be rewarded, but actually only first 29 do. A few events ago there was different problem with counting neighbor actions: rewards were correctly given for the first 90 actions, but after 60 it would start saying this “no more actions today, come tomorrow”, so I had to count last 30 actions on my own. I don’t know if I’m being credited accurately, but at all bass at 20%, my characters are only earning 5 per 4hrs. I’ve submitted it to EA already. 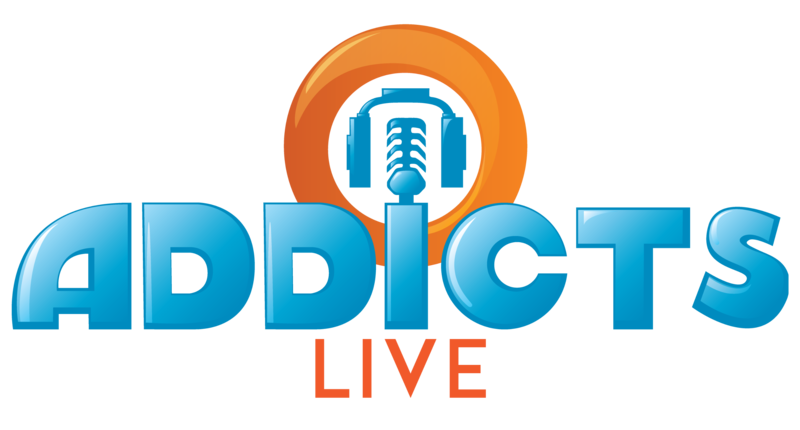 Thank you addicts team for being there so fast to get all of us the information we need. Yes maybe the prizes are lame but it’s free who knows in time it might be worth something later in the game. We’re playing the game anyway so why not get free stuff. Again thanks for all your hard work to help out all of us that love your site. One of my favorite moments…. had to watch it at least twice 😂 …. okay, three times.